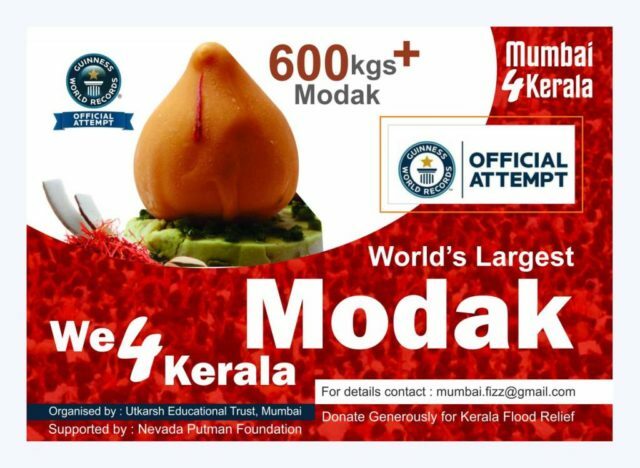 Mumbai: A Mumbai-based NGO Utkarsh Education Trust will attempt to set a new Guinness World Record for the World’s Biggest Modak. The NGO which is supported by the Nevada Putman Foundation, through this attempt wants to highlight the plight of the poor in Kerala and create awareness and motivate Mumbaikars to donate and support the cause of Kerala Flood Rescue and Relief work. The brainchild of Dr Pranav Kabra, the event is supported by several prominent citizens from the area including social activist Nevada Putman. The attempt will take place on 13th September at Evershine Nagar at Malad in suburban Mumbai. A bevy of Bollywood celebs and Tv stars are expected to be in attendance at the event. 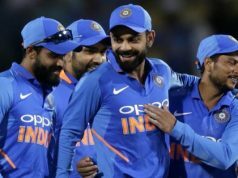 Over 100 mithaiwallas are expected to work for over 18 hours to make the attempt successful and the finished modak weighing over 650 kilograms is expected to cost Rs 5 lakh, said Flynn Remedios, spokesperson for the NGO. When the World’s Biggest Modak is ready, it will be over 2 meters in height and will weight over 650 kilograms. Over 2000 litres of milk and 300 kgs of sugar are expected to be used in the attempt. The finished modak will be distributed to the poor, after it is certified by the adjudicators, Remedios explained. The NGO plans to raise funds for the Kerala Flood Rescue and Relief work through its #We4Kerala, #Mumbai4Kerala and #Bollywood4Kerala awareness programmes. 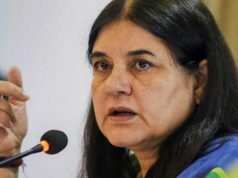 A Bollywood concert is also on the cards, the spokesperson said. Another three events are scheduled in the next two months, Remedios said.